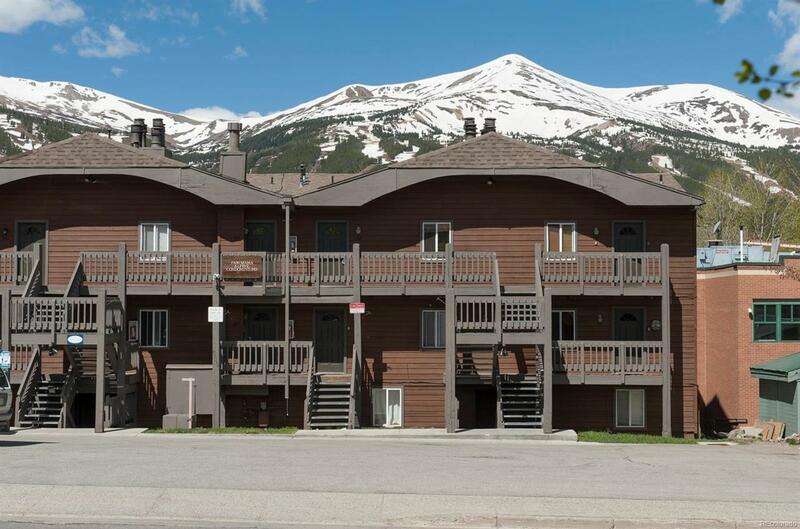 Top floor in-town condo with panoramic views of Breckenridge Ski Resort. Adorable oversized 1 bedroom, 1-bath, 609 Sq Ft condo. Enjoy walking to the slopes and easy town access. Light and bright with all day sun. Open floor plan with open kitchen to living room. 1 assigned parking place that can park 2 cars tandem. New flooring, wood fireplace, great storage and low HOA dues includes everything except electric and wifi. Great investment or second home.